Tools and equipment all packed and ready for action tomorrow! 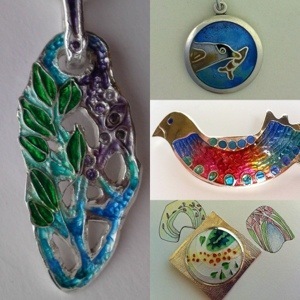 I will be teaching an introduction to cloisonné on silver at ArtisOn near Masham in North Yorkshire as part of their fabulous schedule of art and craft based classes. The class will be learning how to prepare their enamels, design a suitable pattern for their first cloisonné wires and then apply the enamels, firing them in small electric kilns. There are still a couple of places left on the up and coming class with Tilly Wilkinson but you need to book quickly! 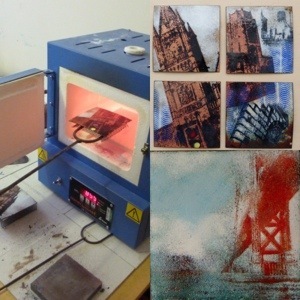 Enamelling on copper and steel using riso screens. Learn how to make your own silk screens to produce a range of images, either from existing illustrations/ photographs or from your own drawings. Produce colourful and beautiful wall panels from these images on either copper or steel. Suitable for those who are new to enamelling or those with some enamelling experience. A range of ready made screens will also be available for you to use. There will be a charge for copper and steel used during the course. The maximum size of copper or steel will be 100mm x 100mm, smaller pieces will be available. Riso screen material will be charged at £3.50 per A4 sheet. 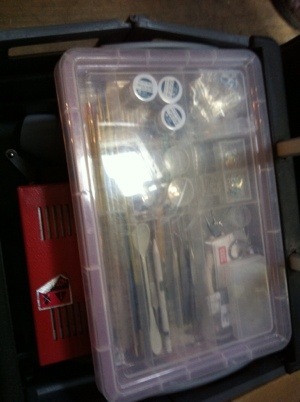 Enamels and equipment are included in the course fee. 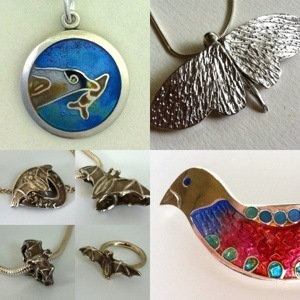 28th and 29th July 2012 Plique a jour enamel with art clay silver £340 two day course On the first day you will design and make silver earrings, learning the basic principles of design for plique a jour enamel and firing and finishing them ready for the second day. On day two you will learn to prepare the enamel and to apply it, firing and gradually building up the cells until they are filled. You will then give the pieces a final finish and add the findings ready to wear. The course includes small amounts of three enamel colours, enough to complete the project. Dates book up quite quickly so please get in contact if you are wanting a place.